I'm taking an online course this summer from Martin Luther College in Curriculum and Instruction in the Middle and Secondary School as a requirement of their post-baccalaureate program to get a K-12 Vocal Music Classroom Minnesota state teaching license. I haven't taken graduate level courses since 1997 when I got my Master of Church Music degree from Concordia University Chicago (then it was called Concordia College, River Forest, IL). I just finished an assignment to write my definition of the word "understanding". Since it's not something that I've thought of very much in the past, I thought I'd post my answer here just in case I ever want to find my thoughts again! "Understanding" is one of those words that we use and think we know the definition for, but when called on to define it, we struggle to put it into empirical words. 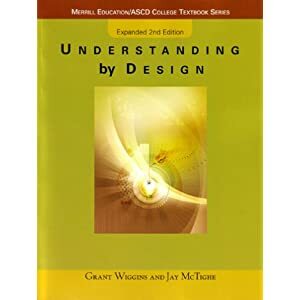 Therefore, to define "understanding" I will give examples of what it isn't, followed by examples of what it is (page numbers refer to Understanding by Design, expanded 2nd ed., Ch.2 by Wiggins & McTighe). After listing what it is and isn't, I'll give my own definition, followed by one example to clarify my definition. My definition of "understanding" then, would be using knowledge and isolated facts to come up with an overarching conclusion (paradigm) which is irrefutable. One example of "understanding" I would like to propose is the ability to provide an idiomatic translation of a foreign text into any other language which captures both the spirit and the essence of the original language (from discussion on Bible translations at the Northern WI District Convention, FVLHS, June 12-13, 2012).